For the past 3 years I’ve traveled to interior BC to ride the huge mtns and deep powder in the British Columbia Interior. Each year gets better and better, meeting more great people, visiting amazing zones and hanging out with some of the realest people in the world who truly love riding. I can’t get enough of this and I’ve sworn to return at least once a year for the rest of my life. This past season we added a twist to the Journey. 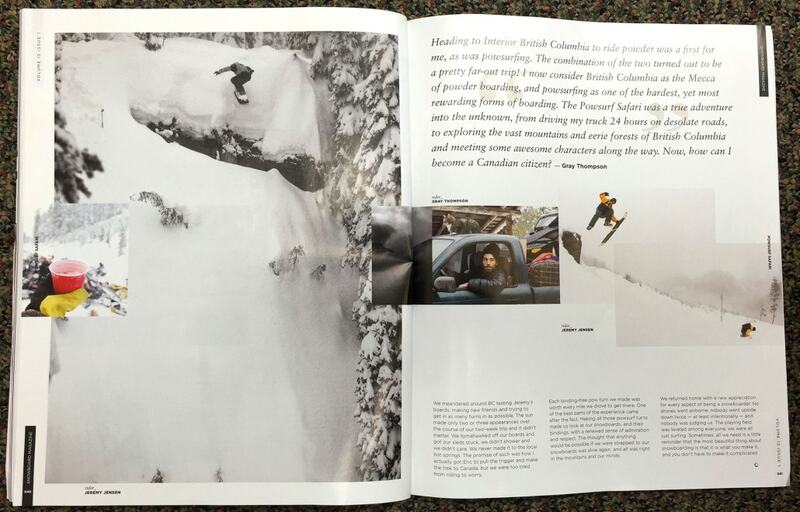 We linked up with photographer Sean Kerrick Sullivan and the Warp Wave boys – Grey Thompson and Eric Messier and made the plan to create a print story from our journey. 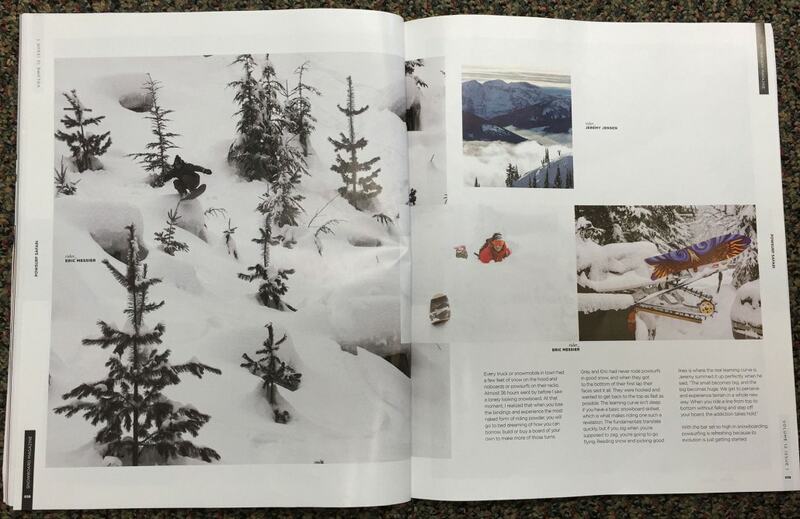 We couldn’t be more stoked for the opportunity and we are super grateful to Snowboard Magazine for providing the perfect outlet, serving it up online and in glorious print! We all pitched in on filming for this edit. Gray and Eric had their gear and I packed mine. Sean Sullivan snapped the stills and our crew was pretty efficient. Not easy work to rack up good shots in such a short time but we made it happen. I couldn’t get enough of that fluffy BC pow so I kept us up pretty late a few nights and the shots turned out amazing, lit with the lights from our snowmobiles. This tight little tube we found was intense! Barely wide enough for my Barracuda 140cm to fit through and 45-50 degrees! 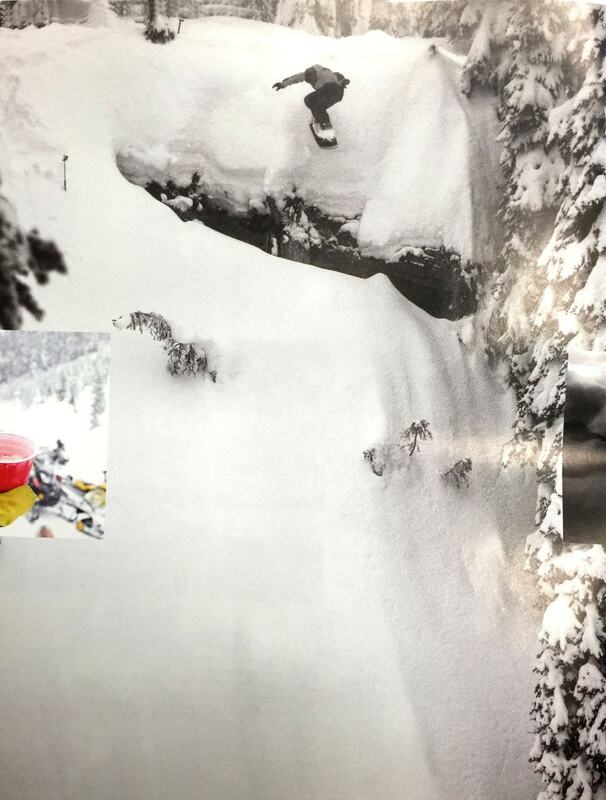 It was like dropping into a mega ramp, but with a giant 4 foot snowmobile trench at the bottom that had to be ollied at high speed. WoooHooo! 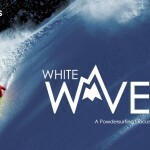 Super good time surfing pow with Eric and Gray. 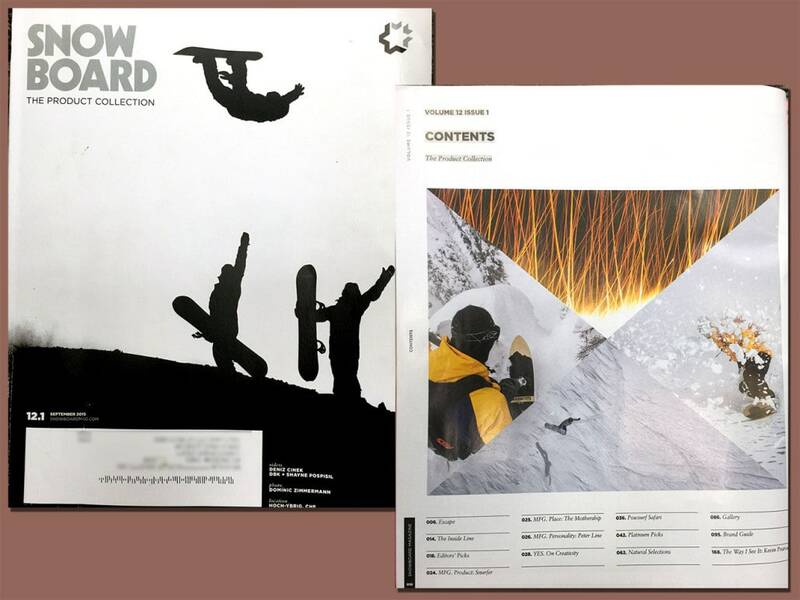 These guys love snowboarding and the powsurfers had them giggling and smiling from ear to ear. The heaviest drop of the trip came on the last day.. or I guess I should say night, because it was basically dark when we shot this. Blind drop into a 45-50 degree landing. Scary! Happy to ride out of this one without suffering the wrath of a high speed slam. That was the icing on the cake for this trip. Can’t wait to get back to the great white north! 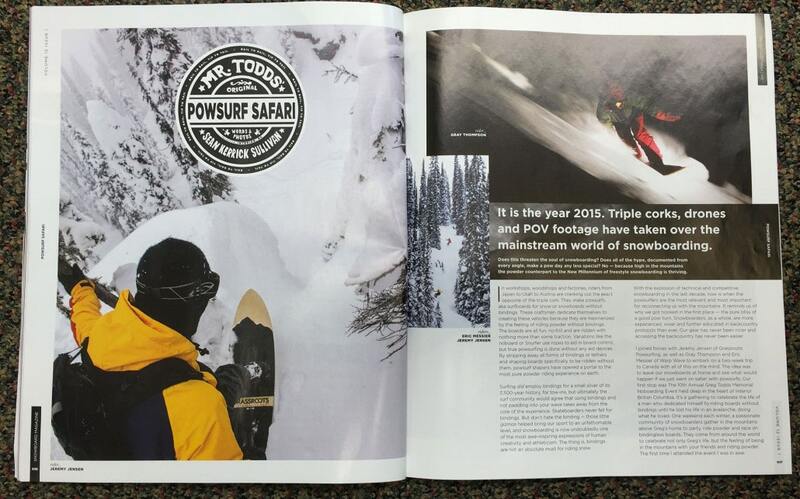 Huge props to Snowboard Magazine for the coverage and Sean Kerrick Sullivan for writing and shooting this piece!